It's hard to say no to pizza. Thankfully, though, this classic dish can be made with nutritious vegan-friendly ingredients. 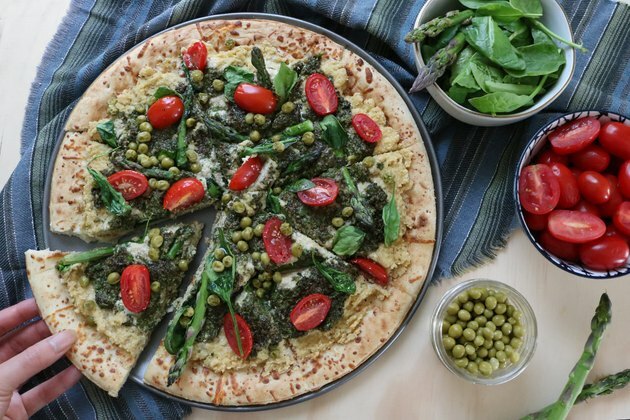 Think tangy cashew cheeze, savory pesto, and a generous helping of fresh spring veggies. The result? 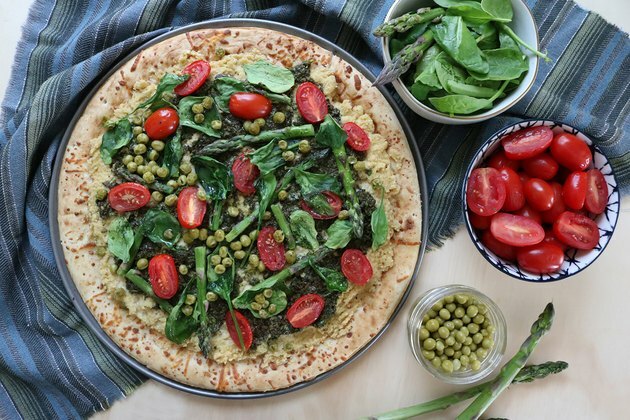 A deliciously colorful (and healthy) vegan spring garden pizza. Here's how to make it yourself. 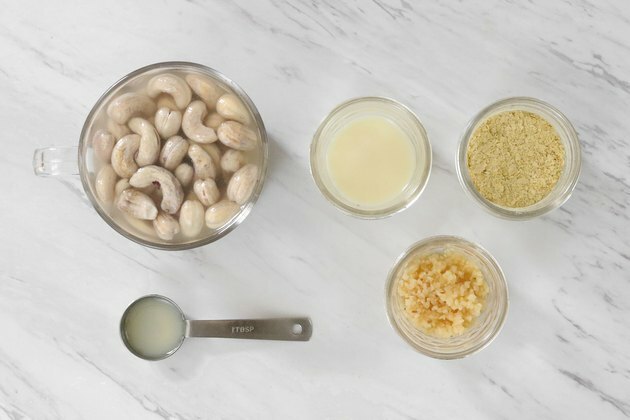 For best results, soak the cashews in water for at least 6 hours or overnight. 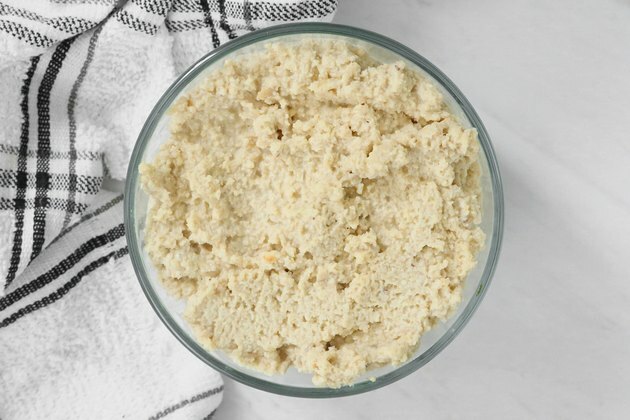 In a food processor or high-powered blender, add the soaked cashews, oat or soy milk, nutritional yeast, lemon juice, and minced garlic. Process all of the ingredients until combined. 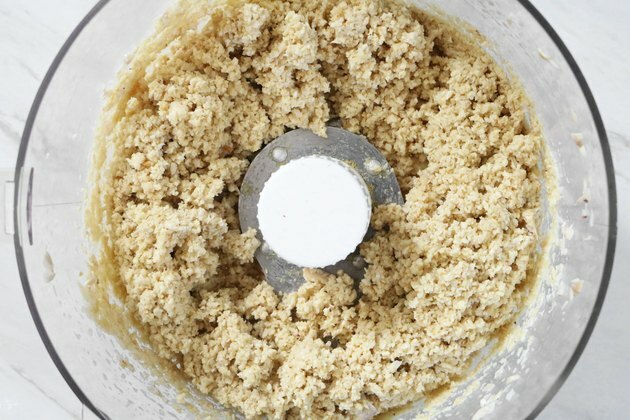 If using a high-powered blender, roughly chop up the cashews first. You may also need to scrape down the sides more often and work in batches. Give the cashew cheeze a taste. If necessary, add more nutritional yeast, lemon juice, or garlic. You can also slowly add more milk for a creamier consistency. 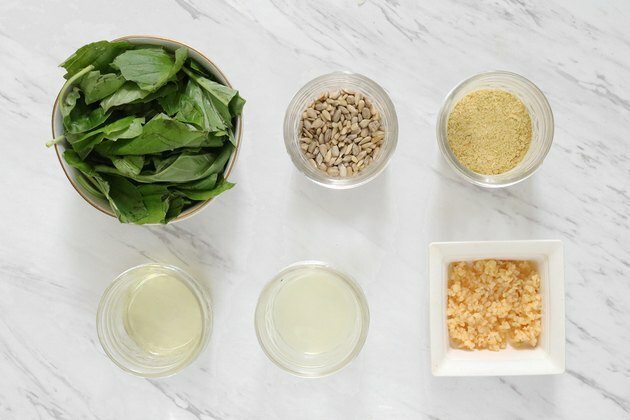 In a food processor or high-powered blender, add all of the ingredients except the olive oil. Process until combined, scraping down the sides as necessary. Again, if using a high-powered blender, work in smaller batches. Slowly add olive oil and continue blending. 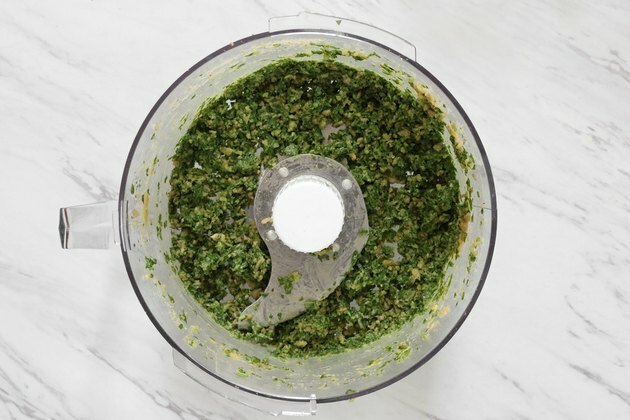 Taste the pesto and add more nutritional yeast, lemon juice, or minced garlic, if necessary. For a "saucier" consistency, slowly add another tablespoon or two of olive oil. Don't feel limited to this list; these vegetables are only suggestions. Feel free to use your favorite spring veggies from your garden or local farmer's market. To prepare the asparagus, trim away the woody ends and cut into 2 or 3-inch pieces. You can also break each spear by hand; it will naturally snap where the woody part ends. 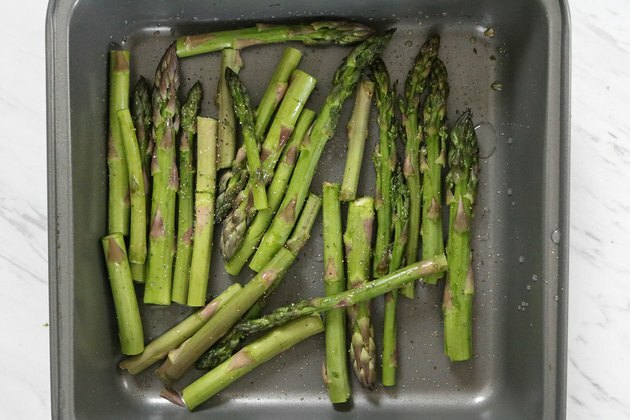 If you'd like, toss the asparagus with olive oil and lemon juice with a dash of salt and pepper. Set aside for 10 minutes. 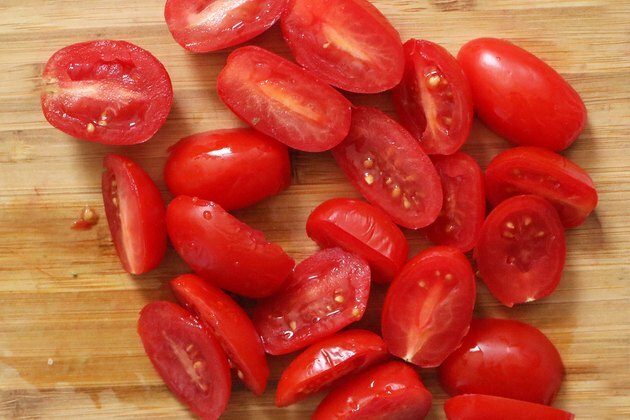 Slice the grape tomatoes in half, lengthwise. 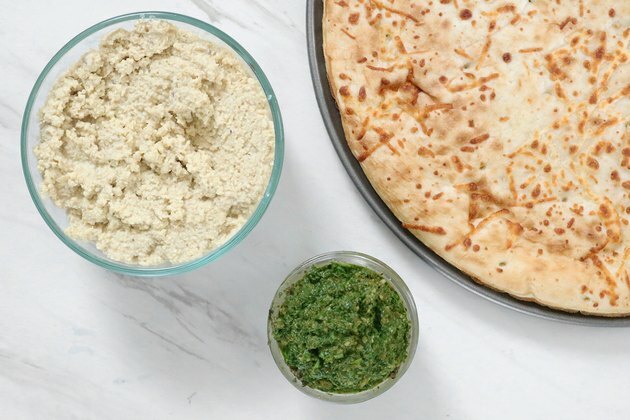 Use your favorite store-bought pizza crust or dough. If you'd like to make the crust from scratch, prepare it according to the recipe's directions. You may need to adjust the baking time and temperature of the final pizza, as well. Spread the cashew cheeze on the crust. 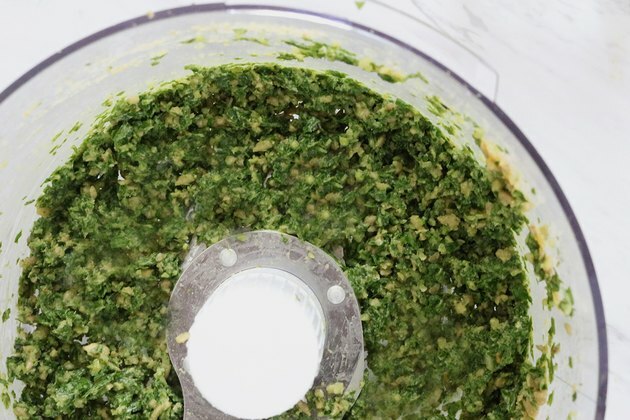 Add a layer of pesto. 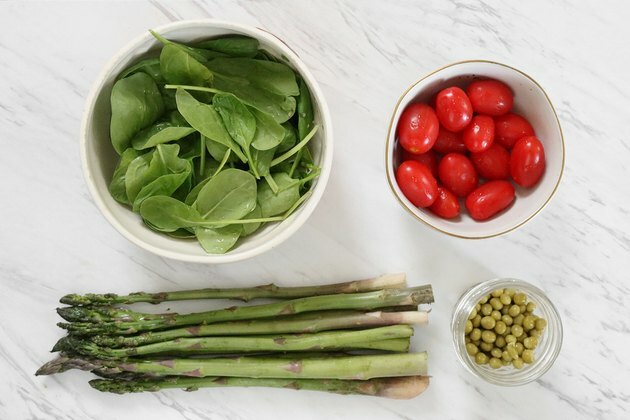 Top with baby spinach, tomatoes, peas, and marinated asparagus. Finish off with a drizzle of olive oil and dash of your favorite spices. Bake for 20 to 22 minutes or until the veggies are cooked, crispy, and sizzling. Your mouthwatering vegan creation is ready to serve! Remember, you can customize this recipe as much as you'd like. 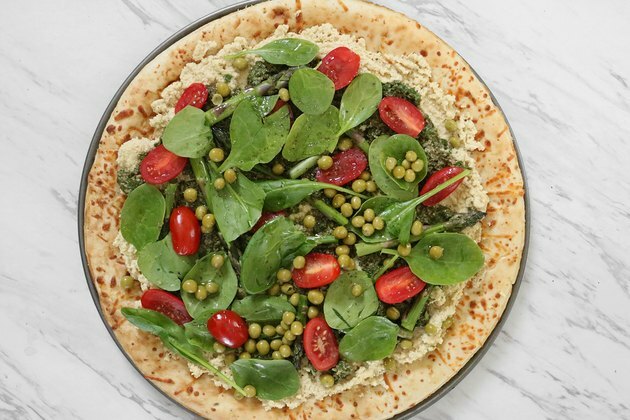 Other tasty pizza toppings include artichoke, kale, watercress, and radishes.